Do you feel it’s time to escape the hi tech world we live in and step back a little, back to basics, back to connect with your surroundings, back to what you perhaps used to do when you were a kid? In that case you’re in exactly the same place I was in 2006 when I quit my IT job and turned to outdoor education. However you don’t need to be as drastic as that, you maybe just need to remind yourself of what’s out there and what you can do. It’s not just about learning skills, it’s about clearing your head and maybe taking a different approach. Far too often we are forced to put our heads down and get the job done. Sometimes you need to stop and take stock. The woodland environment is the perfect place to do this. If you can do this, learn a new skill or two and have fun you will notice the benefits! Or maybe you want to drag your kids away from screen time and introduce them some new skills as a family unit, creating fantastic family memories. Red Oak Bushcrafts has been in my head for too long so now we are live and ready to meet you. We are a family run business, below you will find more information about us. We may need occasionally to involve other instructors, if we do then rest assured that we will only use people we are 100% confident with in their skills and knowledge. So in 2006 I quit my IT job and set off in a new direction, it wasn’t rocket science it was the only other thing I had qualifications in having been involved in the outdoors since becoming a guide at the age of 5 (long story, will tell you about it when we meet) and working my way through the Peak Park Ranger Service and Mountain Rescue. I love my office window now – However Bushcraft and wilderness skills are my passion and combining them with a canoe trip makes it even better! I am now qualified to deliver the following and regularly work for a number of centres/providers in the Peak District as a freelance instructor, frequently heading up courses for them. My office window used to be in the centre of Sheffield! Since the kids came along I have taken time out to bring them up and from that got involved with their schools. Here I found I had a passion for educating children, particularly in an outdoor environment. 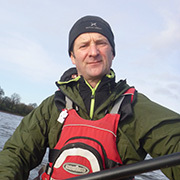 I am now a teaching assistant in a local primary school where I also deliver Forest Schools which is my real passion, using the outdoors to help them grow in confidence in their surroundings as well as educating them. I work, when I can, for a local outdoor centre and have also lectured on Forest Schools at Derby University. Fantastic family bonding day. 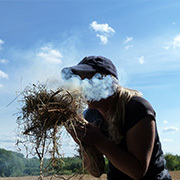 Great, relaxed but engaging bushcraft experience suitable for the whole family. We were greeted with a lovely toasty fire in the morning where after a cup of tea we started building shelters and playing with different tarp combinations. The experience included purifying water after lunch, and making fire in a variety of different ways. Good combination of hands on practical learning as well as instruction from skilled professionals! Suitable for novices and folks with varying degrees of skill. The brownies had a great time firelighting in the woods! They had to use their communication and teamwork skills to enable them to light their own little fires. After the initial whole group instruction, the leaders took the time to show each group how to practice and develop their firelighting skills. It was a very informal setting but they still covered literacy and numeracy skills and also re-enforced manners from the brownies! The brownies got to toast their marshmallows at the end and sing a campfire song. Definitely be back! My Guides had a fantastic time building shelters and lighting fires in the snow. Peter was knowledgeable, flexible and tailored the session to our needs. I would recommend you book a session! Jayden had the best birthday party with his friends. Brilliantly organised and I would highly recommend to anyone who's children enjoy the outdoors. Big thanks to Nicola and Pete for a great afternoon.